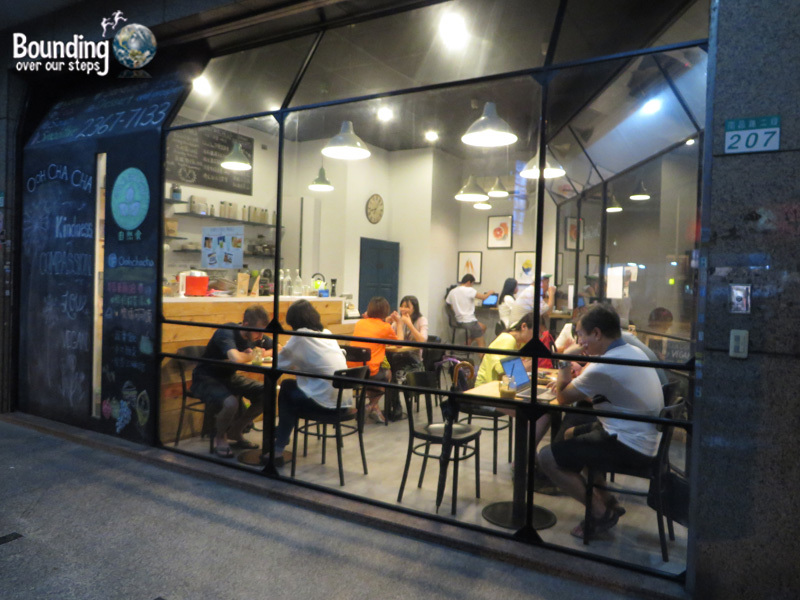 Conveniently located practically right outside Exit 2 of Taipei’s Guting Station (green line), Ooh Cha Cha Cafe has brought both delicious and healthy vegan options to the neighborhood. 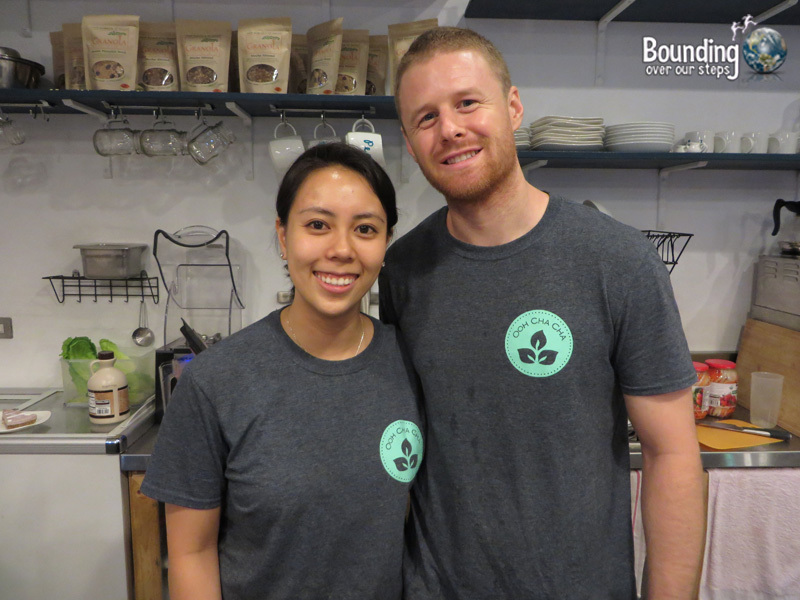 The owners, university sweethearts from Southern California named Mai and Spencer, are passionate about providing healthful cruelty-free dishes, promoting messages like “kindness” and “compassion” in their restaurant. I felt like I was transported to a happening Parisian cafe. 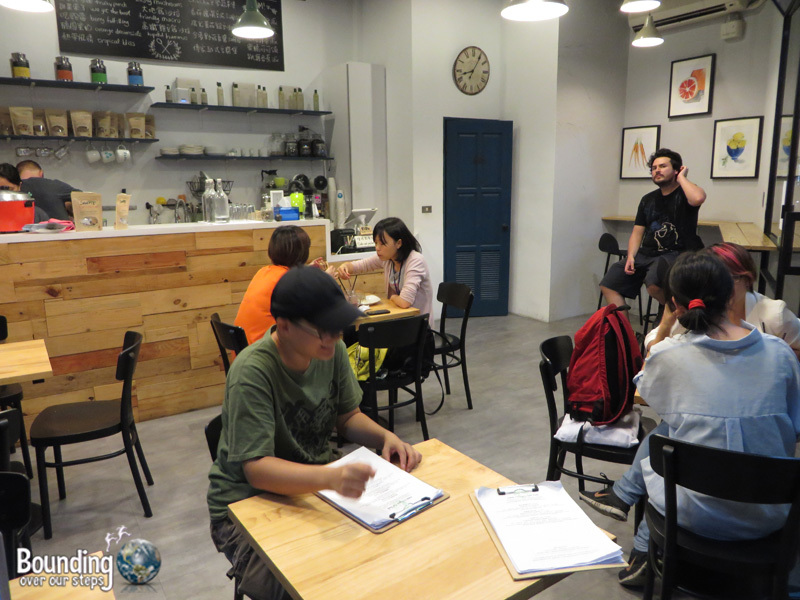 With soft jazz playing and the amazing floor-to-ceiling windows on two sides of the restaurant, Ooh Cha Cha Cafe gives off a very European vibe. The menu, given to patrons on clipboards, offers an array of sandwiches and food bowls, inspired by traditional dishes. Spencer gives Mai full credit for the menu, claiming that she is “the brains of the operation”. Mai claims that “people don’t miss the meat; they miss the flavor” and so works hard to create vegan alternatives that still encompass the original flavor. 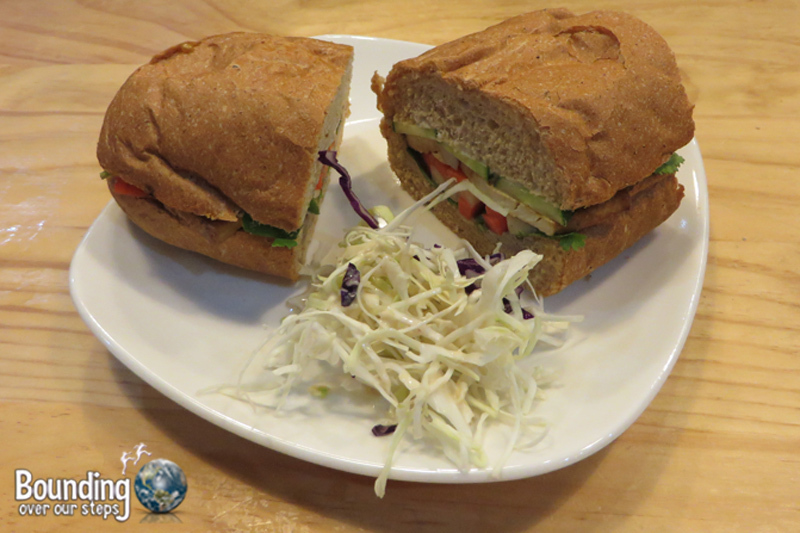 For example, the Tofu Banh Mi is traditionally a Vietnamese meal which is very heavy on the meat but in Ooh Cha Cha you can enjoy the flavors of this sandwich without harming any animals. Oh, and it’s healthier too! 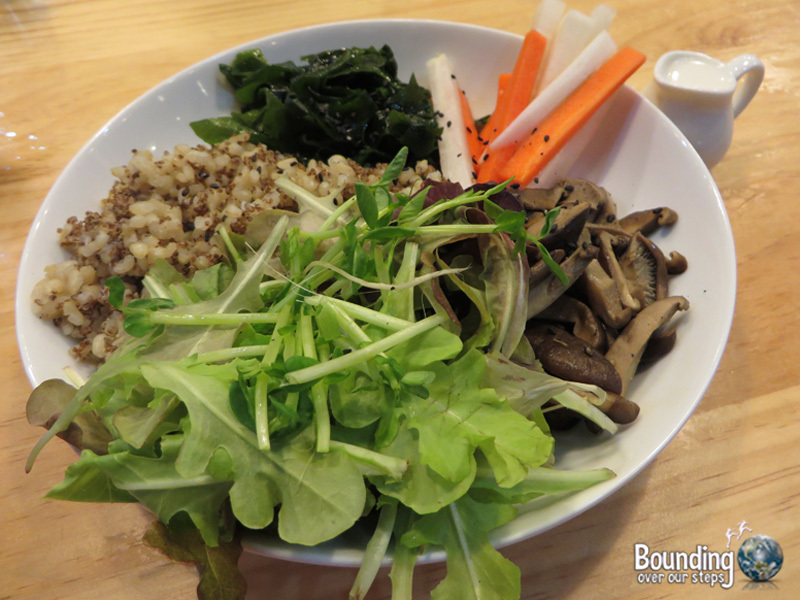 I ordered the Zesty Mushroom Bowl, made with locally-grown organic quinoa, fresh greens, raw veggies and of course the mushrooms, served with a light sauce that came in the most adorable little pitcher. I could have used more of the sauce but the meal was nonetheless very delicious. I particularly enjoyed the mixture of the textures of both cooked and crunchy. 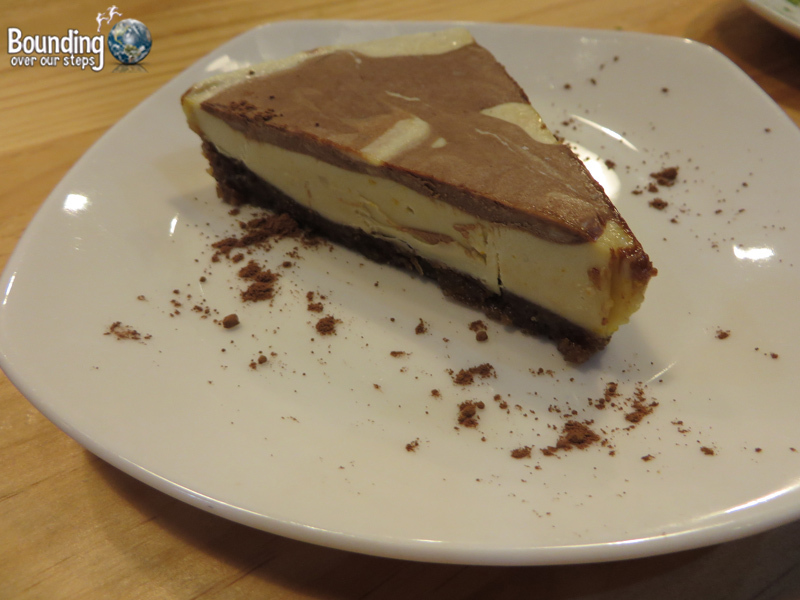 With an entire page of their menu devoted to raw vegan desserts it’s hard to leave Ooh Cha Cha Cafe without trying at least one. 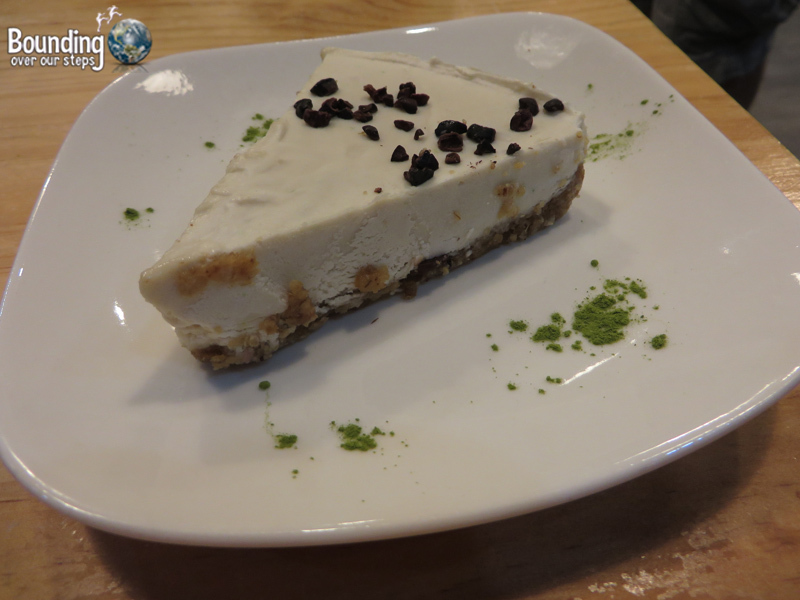 I tried the lime cashew cheesecake and the orange chocolate cream cake and I must say that both of these have renewed my faith in raw vegan desserts. The prices, which are indicative of the organic ingredients and the compassionate preparation, matched those of other vegan establishments in the area. The chefs were also the wait staff but this did not deter from good service. Spencer brought the food to our table in a timely manner and was always pleasant. Out of all the vegan restaurants I visited in Taipei I found Ooh Cha Cha Cafe to have the most creative menu.